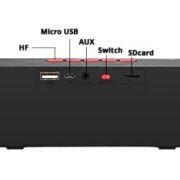 Portronics launches a new Bluetooth speaker that named- Thunder Mini, the name is quite flaunting and stated that you are getting a loud volume speaker in a compact design. 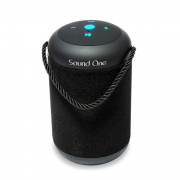 The Thunder Mini is a portable Bluetooth Speaker with FM and comes in black color. 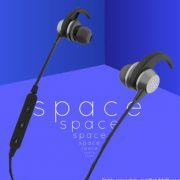 The Portronics is an Indian consumer electronics company which deals in mobile accessories, audio products, and other gadgets. The Portronics My Buddy Lite– A Portable and Foldable Laptop Stand is one of their products launched this month. 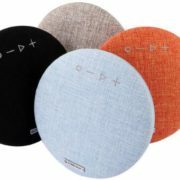 The Thunder Mini speaker as said by the Portronics is small and you can easily connect the speaker to your projector, laptop or Tv to enjoy the great sound. If you ask about connectivity options then it has Bluetooth to pair with your Android phone and other Bluetooth equipped devices. It also provides the 3.5 mm jack AUX option to enjoy your movies and music on a projector, laptop, and computer. One can enjoy the favorite music using a U disk or USB card; even pen drive or SD card (along with card reader) can also use with the Thunder Mini. The FM of the speaker can play the between the frequency of 87.5MHz and 108.00MHz. One can even talk to someone using in-built Moby picking up calls when it connected to a smartphone. The convenient feature of hands-free calls can be enjoyed by picking, rejecting or ending calls through the buttons on the device and continuing your music without missing a note. The dimensions of Thunder Mini are 298.5 X 81.6 X 78.6 mm and powered by 2000 mAh Lithium-ion battery. As per the company claimed, it took 5-6 hours to get fully charged with the power supply of 5V. Thunder Mini comes with 2 units of output speaker total gives 20W and an impedance of 4 ohms. On the upper side it has 4 buttons work as “On/Off”, “Play/Pause”, “Previous/Volume Down” and “Next/Volume Up”. You can also change the mode of connectivity by pressing the “On/Off” button for the longer duration. It comes with intelligent power saving function as it automatically turns off the system if it is muted, paused or left idle for more than 10 minutes. 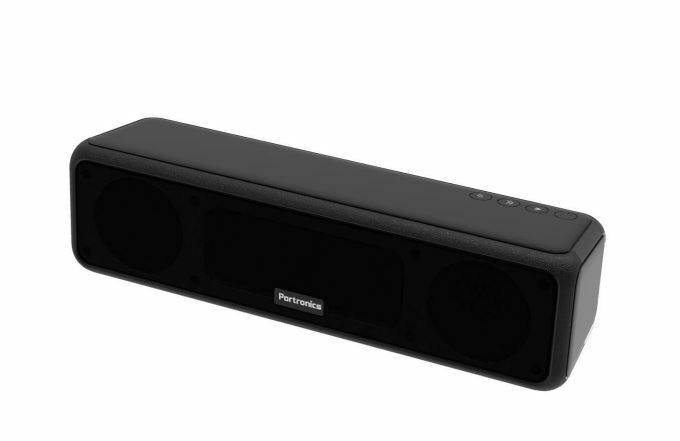 The new Portronics Thunder Mini priced at INR 4999/-. In the box of the Thunder Mini, you will get Thunder Mini main unit, one micro USB cable, and one 3.5 mm audio cable. For more info.